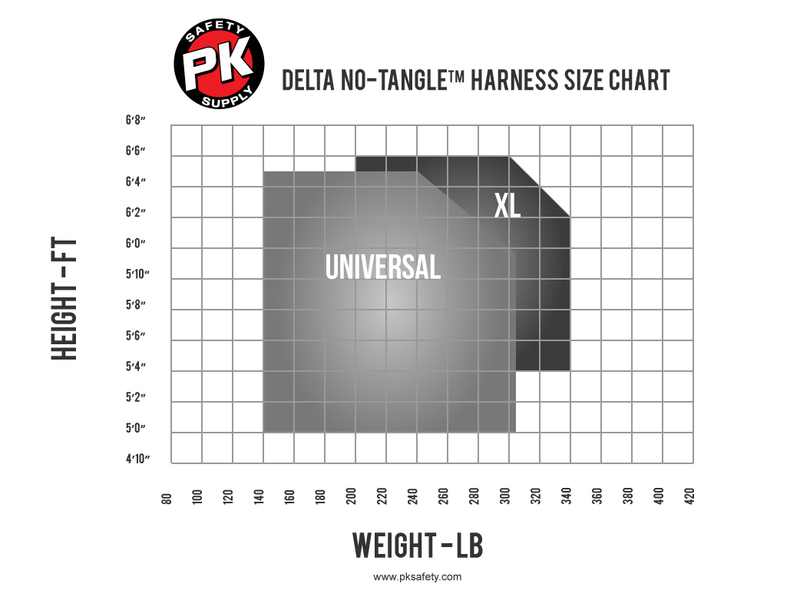 The Delta II No-Tangle Tower Climbing Gear features a body belt for added support as well as positioning D-rings for extended work at heights. Meets or exceeds all applicable industry standards including OSHA, ANSI and the stringent ANSI Z359. For X-Small, 2X-Large, and 3X-Large sizes contact Customer Service.